Twenty hats, twenty scarves, twenty mittens in cascade 220. Yep, an entire book devoted to one yarn. I like that. I also really like cascade 220. I find it to be a good quality yarn, affordable (it looks like webs is having a sale), and comes in just about every color under the sun. And speaking of the sun, I find these small "tote around" projects to be the perfect projects for summer knitting. I'm absolutely head over heals for those plaid mittens. They sort of remind me of a vintage thermos. Mittens for adults and children. Fair Isle mittens, bird cage mittens, cable cuff mittens, bunny mittens, tweed mittens, checkered mittens, the list goes on. Libby has been wanting me to make her a beret and I think I finally found a pattern she likes. (It just so happens I have a hank of off white in the stash.) Hats for adults and children. 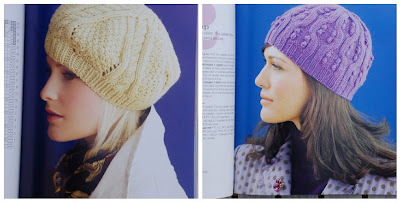 Hats with bobbles, cables, patterns and stripes. Fingerless gloves fall into that mitten category. I have always wanted to make myself a pair of those flip top mittens. I think I found the perfect pattern. Twenty scarves, too. Scarves for adults and children. Stripes, cables, stripes, ruffles, eyelet and a pocket scarf. Again, the list goes on. And you guessed it. Tara over at Soho publishing is offering this book to one of my readers. If you are interested, leave your name by Friday the 14th at 12pm EST. I'll draw a name. oh, i'd love to win this book! i'm pretty sure even if i don't i'll go out and get it eventually, but to win it would rock! It looks like the perfect summer activity book! Thanks for the opportunity to win a copy. Ooo a whole book of Cascade projects! I would love this book! I love Cascade yarns! Hey, I can always use another pattern book! In sweden it is hard to get hold of some cascade, but my lys has just bought some! I'd love the book. I love the yarn too! Looks like fun projects. Mittens and hats in Cascade? Oh yes, please! Love quick knits and love Cascade yarn. I'm looking for some portable summer projects, too. This would be great! I've flipped through a friend's copy of that book -- it's fantastic! Thank you Leslie for the chance to win! I love the plaid mittens too! Oooh, I like those green, lacy mitts! I'm Karie Bookish..
That looks like a great book to add to my stash - and so fun to knit with this summer! I also love Cascade 220 and have been meaning to pick up this book. So many great patterns! What a great giveaway! I'd love to win this book. Thanks for the opportunity! Wow! I just picked up a skein of Cascade 220 at my LYS today! How cool is that? Those fingerless mitts are calling my name! 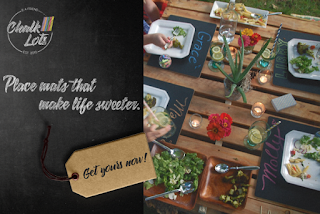 what a lovely giveaway...I would LOVE to be entered to win. They all look like great projects! I would love to win that book! Please enter my name. Thanks for the giveaway! I love Cascade 220 and hope to win! I would love this book too! Mittens are the perfect summer project. I've been excited about this book since I first heard about it. Those lacy, leaf mitts look amazing. What a fun book. I have quite a bit of Cascade yarn in my stash. What a great way to use it up. I have to tell you that I really enjoy your blog and like to check in and see what you are working on next. Thanks for another giveaway, Leslie. May 14th is a lucky day for my already -- it is my wedding anniversary -- 11 this year! I hope we can get together before school is out and I turn into a pumpkin... I told Keana I want to learn how to make that fringe! Ooooo, I'd knit those thermos mittens in a heartbeat, too! 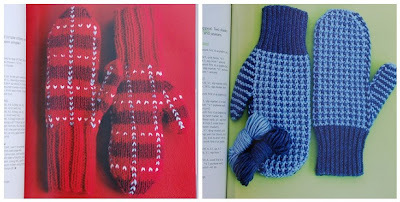 I like the plaid mittens too...looks like a great book! Cascade 220 has to be my favorite go to yarn for projects. What a great book. Love the mitts. Thanks for the giveaway! how great! my boys are due for new scarves for the next winter and I promised my niece a mitten/hat set. I really like the beret pattern. I love looking at knitting patterns. This looks like a really useful pattern book. Please enter me. what a great book! i love cascade! I have lots of odd hanks of Cascade 220 lying about the house! I am loving the fair isle mittens on the cover! THanks for the contest! This book looks like lots of fun! Thanks for the chance to win. Hello! I just learned to knit this year, after years of crocheting...I'm now addicted! I would love this book! I'm always looking for portable projects. Thanks! Oh please count me in on the drawing! This book looks like a must have!! Oh! Enter me! I'd love to win a copy of that book! Thanks! What a fabulous book! Thanks for the opportunity! My friend has this pattern book and there is only one "dud" (in our opinion) in the entire book! Yes, I'd love to have it too!! My name is Larisa...I do not have a google account...do I still qualify? I LOVE small knitted projects, and I would love to own this book! Pick me, please, Please pick me! Oh, man, I, too, have been looking for a flip top mitten pattern (or transformers as my son calls them). What a great resource of projects! Those green mitts look cool. What a great book! I think I will buy it if I don't win it too! I've only knit one thing with Cascade 220, but I sure would like to have a reason to knit more. What a nice giveaway! I love cascade 220! I knitting a bag right now with it because it felts so well. Sign me up! Just got a pair of knit lite needles that would be perfect for these projects. They were on sale so that was even better - for only $.99. That was a 90% reduction! I love Cascade 220 and would love to win a copy of the book! This looks like a great book! 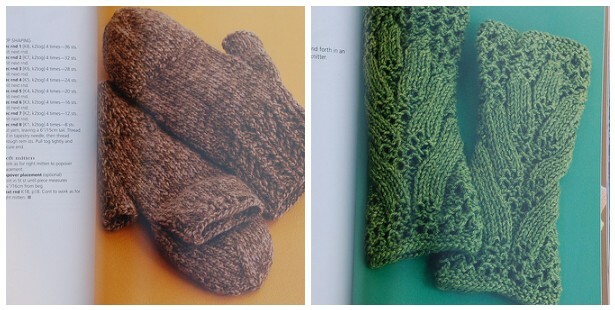 I'm in love with lose green leafy fingerless mitts - I hope I win just so I can make those! Love Cascade. Love your blog. I'm sure I'd love this book, too! This book looks so fun! Pick me! This book looks perfect for a knitter from Minnesota. Wore a knitted hat and mitten set to the Twins game last Saturday night. Please pick me! This book looks great! Ton's of cute, quick knits! That purple hat gives me the quivers. Love all of these selections. Oh, and Hi! Ohh, how exciting! I've had my eye on this book ever since I spied the patterns popping up on Ravelry. I've got plans to knit my family accessories for Christmas and this book looks like it has everything! Thank you for the chance to win this fabulous book! Just the perfect book to get me started on all of my handknit projects for holiday gifts! Yeah!! I'd love to win! It looks like a really good book, and I like quick projects. I have 5 children I knit for and this would be the perfect book. When are you going to knit Trouble a sweater? Pick me, pick me, pick me! PLEASE! what a fun book! I love making mittens and hats! Haven't tried a scarf yet, but I am ready for a project where I don't have to worry about sizing as much, so this book would be perfect! Would love this book ... I promised by daughter fingerless gloves by fall. Quick Knits are a wonderful way to feel the satisfaction of completing a project! Nice book! I so agree that Cascade 220 is a wonderful yarn, and it's funny that I first bought it without having any idea of its Big Reputation. All those colors just give us so many creative possibilities. I like all the projects shown in your photos. Let's keep knitting ... or crocheting! Oh, please enter me in the contest. this book sounds fantastic, i'd love to win it! Oh I am so excited! I am a new knitter and always looking for fun things to knit! Would love to win a copy of this book! I love those fingerless mittens. Oh! Jane is a beret fan also! I would love to make her another from the Cascade book. It looks like a great book--I'm in! Hi! 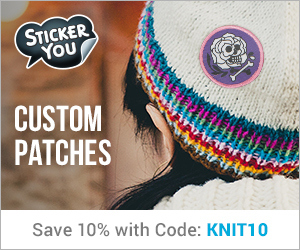 Once again you're hooking up your readers to another fun knitting item. Way to go! I'd love to win, since this book seems to cover gifts for all loved ones on my Xmas list. I'd love a copy of this book, and I've picked it up many times to look through. 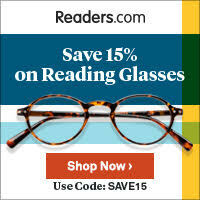 I have heard a lot of great reviews of this book. Thanks for hosting the giveaway! I would love to make the knits in this book! Wow I hadn't heard about this book sounds like a winner. A knitting book! Looks wonderful. What fun! I'd love to win. Just started to knit from pattern`s in English an the photos you showed looked really good. This could be a book I would love to have and to knit from. Wasn't sold on this book 'til I read your review - great patterns! Thanks for the contest. Ive been looking for a pattern for flip top mittens!! Sweet-add my name to the list. I enjoy your blog by the way. I am a new knitter-two sweaters and one sock down.....already loads planned. Oh, I love those green lace/cable fingerless numbers next to the flip-top mitts! quick knitting might be slow knitting for me.. ;-) Love the green hand-warmers! If it's open to your overseas readers, I'd love to be entered! Who can resist an offer like that? Please count me in. Thanks! The book loves lovely - who wouldn't love to have it on the shelf. Thanks for the great opportunity. Thanks for bringing this book to our attention. It looks fabulous! I certainly won't turn it down if you choose me! I love your blog, and I love this book!! Quick knits are my favorite!! What an awesome book. Its never to early to start Christmas knitting! This book looks like so much fun. What a great book! I have a ton of 220 in my stash and would love to win a copy. Thanks! I'm presently making fingerless mittens for gifts this Christmas. I love some different patterns to try. It's a lovely book and great for starting early Christmas gifts. I have 17 people who would love mittens, scarves or hats!! I love love love your blog. It would be great to win the book, but even if that doesn't happen, I'm long overdue to de-lurk and profess my adoration for your pics and prose! Thanks for sharing with us. Wow, what a very awesome giveaway! And thanks for introducing us to that book - very nice! I might have to get myself a copy, that is, if I don't win one! I'm always looking for small projects to work on. Would be a great book to have. *gasp*!! Cascade 220 - my one and only love!! Ooh, I'd love to win this book! I saw it at my local knit shop, but it's not in the budget right now! Thanks for the chance! I'm interested! Please enter my name! Oooooh pick me, pick me!!! I want a pair of those flip top mittens too!!! looks like an awesome book! i'd love to win a copy! thanks for the chance! Looks like a wonderful book. I love the hats and mittens! Seriously loving those green fingerless gloves! Thanks for the preview - this looks like a great book. Count me in for a chance to win. Looks like a great book to have to get an early start on those Christmas gifts! Thanks to both of you for such a wonderful giveaway. Oooo - I'd love to win the book. Thanks for giving me the chance! to bless one of us. Those plaid mittens are AMAZING! I must make a pair for myself. Thanks for the chance to win. Just looking at the pictures makes me so happy! So fun! I love that beret pattern. This is such a great idea for a book- have all the patterns in one wildly popular yarn that fits most people's budgets. Plus, I love how the gifts seem like they would be the perfect quick knit, or gift item you could whip up. So many awesome winter accessories!! I'm with you on those plaid mitts- they are awesome. This book looks like a Classic..one you reach for over and over again. May I please throw my (knitted) cap in the ring? Thank you, Leslie. I have been eyeing this book at my LYS. Just learning to knit and I love the idea of "quick knits". I would totally love this book!! Thanks! That would be awesome!! I love small projects, too. It looks like a great book! Love the idea. Ohh what a fun book! Thanks for the opportunity! I would LOVE this book! I could whip up some these projects while sitting at soccer games, cheerleading competitions and practices and so forth. that flip-top mitten pattern looks great! That looks great! Yay cascade! I've been wanting to try Fair Isle mittens for a while now- this book would be fabulous! You are so right about the mittens resembling a thermos! WOW!!! That is awesome! I love quick knits more than anything in the world nearly. I would love to win oh so much! Wow! I'd like to have a copy of this book. This looks like a fabulous book! Hope I win. Thanks for sharing all your great ideas! Ooooh, pick me. Perfect knitting for this time of year. Stash busting and creating a gift stash = fun. Oh please count me in! I buy Cascade 220 (well, that and sock yarn) like it is going out of style! Wow what a great idea for a book. I'd love it! what fun projects! and thanks for the giveaway - i would love to win, if i am so lucky! I would love to win this book...I see lots of gifts for family in my future!!! Thanks for the giveaway! Oh, I'd love to win this book! I haven't had the opportunity to see it in person but you can't go wrong with Cascade 220! The book looks awesome. I have so enjoyed reading your blog. Thank you for the opportunity! I agree the small projects are perfect for summer knitting and for travelling! I'd love to win the book! Yes, I would love to have this book. I need to work on pattern reading...and doing. I know someone who wants to knit. This might be the perfect book to get her started. I agree with you that cascade 220 is a great everyday yarn. Thanks for the chance! I would definitely like to win this book! I am a beginner, and have yet to knit a hat OR gloves. Love to win that book....Cascade 220 is a great yarn....felts up wonderfully, too. I would love to win this book . . . and I love reading your blog & seeing your latest projects.